An Electronic voting system is any system that allow an eligible voter to cast his/her votes using computer normally connected to the internet or intranet from anywhere like a home or an office. Electronic voting system (also known as e–voting) is an electronic system which uses electronic ballots that would allow voters to transmit their secure and secret voted ballot to election officials over the computer. 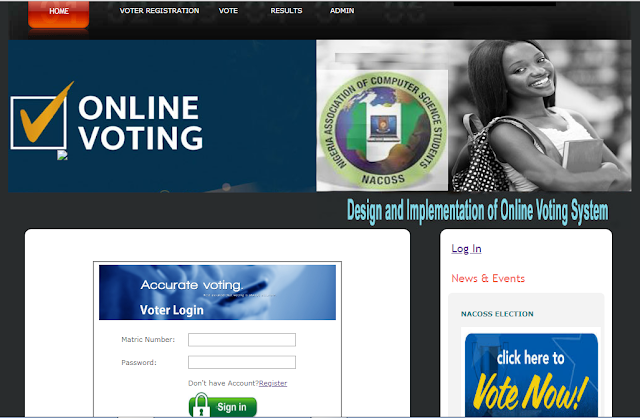 Electronic Voting System project is a website application which is implemented in ASP .NET C# platform. The system would require two inputs from users. The first login details for security and the new user registration, which is entered through the keyboard.